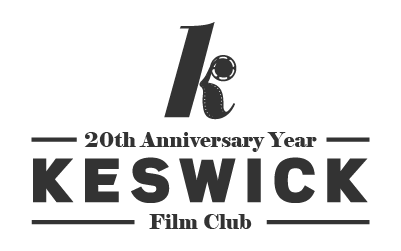 Keswick Film Club members are also entitled to members' rates at Caldbeck Area Film Society screenings and vice versa. 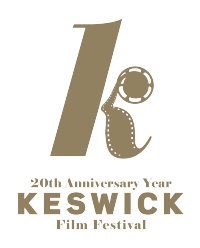 The new season starts on Friday, 16th Sept at 7.30pm in Caldbeck Village Hall and we have a varied and exciting programme. There will be a short AGM before the first meeting at 7.00-7.15pm. Volunteers to help with running events are always welcome. The shy, stammering Duke of York suddenly becomes King on the abdication of his brother David. His wife enlists the help of unconventional Australian speech therapist, Lionel Logue, to help him overcome his stammer. A lifelong friendship is forged between the two men. Tennis pro Guy and mysterious admirer Bruno meet and decide to trade murders. Bruno is to kill Guy's unfaithful wife and Guy is to murder Bruno's spiteful father. Needless to say in a Hitchcock thriller, nothing goes quite to plan. The suspense is ratcheted up to a white-knuckle finale. When two middle-aged friends go on a road trip round the vineyards of California, they have different agendas. Divorced, neurotic, slightly depressed Miles is a wine snob and budding author, while Jack is a fading Casanova looking for one last fling before his wedding. Witty fun with American men behaving badly. A Mike Leigh film which depicts solid couple Tom and counsellor Gerri and their various friends and family through the course of a year. Will their son find a steady girlfriend? Will Gerri's needy friend get her life sorted out? Will Tom's overweight, workaholic pal mend his ways? This is a keenly observed slice of family life with all its ups and downs. Classic Ealing black comedy about a resourceful serial killer, Dennis Price, who decides to remove all those blocking his way to a Dukedom. Alec Guinness plays all 8 members of the D'Ascoyne family to be assassinated. A Sylvain Chomet film from a script by Jacques Tati. A traditional magician with a fading career meets young Alice, who follows him to Edinburgh, hoping for a more exciting life. The magician supports Alice as an adopted daughter with occasional gigs and jobs. It is a wistful story with minimal dialogue and Edinburgh is beautifully depicted. On an Arctic island in NE Russia, Sergei, a veteran scientist, is joined at the rundown weather station by young student Pavel. The student's frivolous ways ensure a clash of personalities. Pavel fails to pass on an important radio message to Sergei about his family and as the weather deteriorates, so does the atmosphere between them. The programme may be changed at short notice, if there are circumstances beyond our control.